The planning system can be complex, and understanding reasons for refusal can be frustrating. We took a look at this in depth at the planning process and its various stages. Getting planning permission on a piece of land, or for a renovation opportunity, not only transforms the value of that plot, but also gives you the chance to create development opportunities. Unfortunately, the planning process can be drawn out, confusing and riddled with doubt and problems — but what you stand to gain should make it all worthwhile. It is quite possible to buy a building plot that already has planning permission, as many on the market do. However, this is not always as good an idea as it may at first seem, as the most desirable plots rarely get beyond the estate agent’s door before being snapped up by developers. Another factor to watch out for is that the planning permission in place may not be all it seems; for example, there may be no details about the size of the house. The rules of planning are unpredictable, open to interpretation and often easily bent — and this is something that can work both for and against you. It is vital to have an understanding of the planning process because, put simply, ending up with the right permission is the only way you will end up being able to build the house of your dreams. Whatever your circumstances, there is often a way to negotiate and come up with a satisfactory solution, as the case studies that are linked below demonstrate. Probably the easiest way to understand planning is to hear it from the horses mouth. 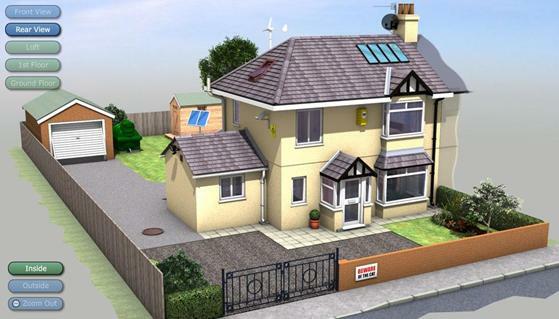 The UK Planning Portal provide an interesting 3D demonstration of a home, its’ parts and a clear statement of what does or doesn’t need planning – or what may need looking into. You don’t have to own a piece of land in order to make a planning application on it. It should take no longer than eight weeks from the point of application until you get a decision. The objections of neighbours and local residents will not necessarily have any impact on the decision. It is possible to withdraw an application — if you suspect you might get a refusal, you can withdraw at any time you wish and resubmit free of charge. You can submit however many applications you like for any one site — and then choose which one you want to use most. As long as it is current, you don’t have to use the most recent. Planning permission has a particularly unpredictable set of rules — open to interpretation and often capable of being bent. Unlike the Building Regulations, planning regulations differ from one area of the country to the next, while the scope for inconsistencies between planners – even within one authority – is huge. So if you want to self-build, renovate or extend, a flexible and pragmatic approach to achieving what you want is vital. It is perfectly legal to make a planning application on land you do not own — you don’t even need permission from the landowner, as permission goes with the land rather than the applicant. It is common practice to make a purchase subject to satisfactory planning permission — which is then legally secured by exchanging contracts with completion conditional upon getting the permission you want, or by entering into an ‘optional agreement’, whereby you have the legal option to buy if you’re successful or to walk away if you’re not. First find your local planning department. Your local planning department and its website is a free source of information that can help you to exploit opportunities. But you need to know how to use it and this is where it is extremely helpful to talk to a planning officer from your local authority. Try to achieve a good rapport rather than approaching them as an enemy, and aim to gain an understanding of the key issues you will have to deal with in order to get permission. Most objections from neighbours etc stem from a fear that their own properties will be devalued — and also often from a worry about the change that a new house will mean for them. Perhaps the best way to avoid objections, therefore, is to talk to neighbours and the parish council prior to making your application and try to accommodate in your design any specific concerns they have. If you can accommodate what might be trivial issues it could make the difference between a delegated approval and a planning committee refusal. If and when you do get permission, it will be subject to certain conditions. This will include a time limit during which the application has to be started — now three years. Any conditions on your application are extremely important and a failure to comply with them can result in a ‘breach of condition notice’ (BCN) to which there is no right of appeal and which can be enforced through the courts by prosecution. If you come across a piece of land that comes complete with planning permission, don’t be put off if the nature of the approved house design does not quite meet your requirements. Just because permission already exists for, say, a bungalow, this does not mean that this is what you will have to build. The rules of the planning game are not simple. They are produced by local authorities and referred to as ‘development plan policies’. They are supposed to be a guide as to where new housing is located and what kind of developments are built in that area. These rules are not hard and fast, and it is really all about how well you can sell what it is you are applying for to the local planning authorities in relation to the policies in their particular development plan. The development plan policies set out – often not particularly clearly – criteria for what will and won’t be acceptable. Villages and towns will normally have been given a development boundary – also known as a settlement boundary – and it is within this boundary that the principle of new development is allowed. Outside of these boundaries, land is usually grouped together as countryside and is extremely difficult to gain planning permission on. Trying to comply with any of these vaguely worded policies can be very difficult — particularly if you are aiming to do so without the help of a good designer or planning consultant who is able to interpret exactly what the local authorities are trying to say. By submitting parts of a controversial scheme incrementally, planners are less likely to countenance refusal because they are always duty bound to compare it to what has already been approved — meaning that big leaps forward can prove too controversial for consumption, but incremental amendments to approved schemes are difficult to resist. Finally, spend money on presentation drawings of your development — planning authorities grant permissions for what is really only a picture at that stage. HAS WHAT YOU WANT TO DO ALREADY BEEN REJECTED? Check the planning office for records relating to the site you have in mind and investigate whether the plot has suffered any rejections or other forms of adverse planning history. What has gone on in the past will be the starting point that planning officers will base their new decisions on. Outline Planning Permission: A general approval to enable construction. This may simply be for one dwelling; it might also specify whether the new house is to be a bungalow, but will give little more detail. On plan, it merely constitutes a red line around a plot. Detailed Planning Permission: Specific approval for an individual design to be built, based on a set of drawings indicating details on elevations and even facing materials. Full Planning Permission: Another term for detailed planning permission. Some plot developers bypass general outline approval and go straight for ‘full’ permission. 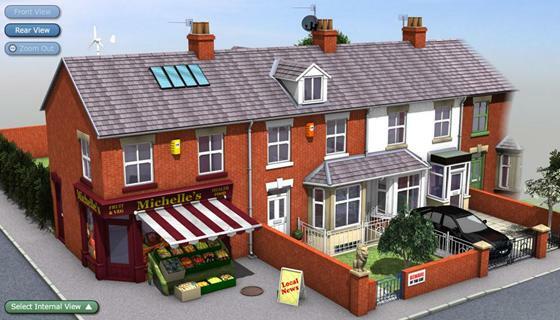 Permitted Development Rights: Developments that can be carried out without planning approval. They relate to existing houses and cover small-scale improvements, such as modest extensions, loft conversions and so on. Great post. I love those 3D tours of the homes. Is there a central government website I can go to get all the current regulations and forms? Yes, you can go to http://www.planningportal.gov.uk/england/public/ This is the official UK planning website. We will be working on some new pages which will allow easy downloads and instructions for all planning applications.